Alle Notenausgaben von The Little Mermaid (Choral Highlights) zum Herunterladen bei VirtualSheetMusic. Instantly downloadable sheet music by Stephen Schwartz for choir and piano (SAB) of MEDIUM skill level. 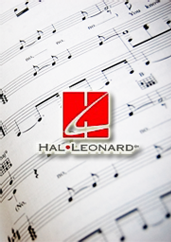 Instantly downloadable sheet music by Burton Lane for choir and piano (SSA) of MEDIUM skill level. Instantly downloadable sheet music by Duncan Sheik for choir and piano (SATB) of MEDIUM skill level. Instantly downloadable sheet music by Maury Yeston for choir and piano (SSA) of MEDIUM skill level. Alle Notenausgaben von Cinema Italiano zum Herunterladen bei VirtualSheetMusic. Instantly downloadable sheet music by Alain Boublil for choir and piano (SAB) of MEDIUM skill level. Alle Notenausgaben von Les Miserables (Choral Medley) zum Herunterladen bei VirtualSheetMusic.